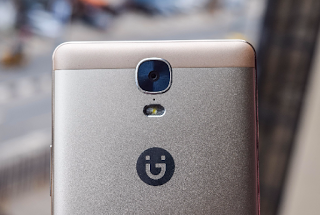 The Gionee M5 Plus is the largest device in the Gionee M5 series of smartphones. 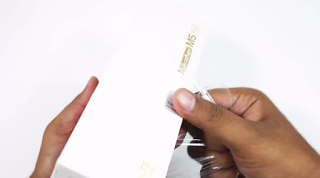 The prestigious smartphone was recently unboxed by one of the country's top tech bloggers, and today we bring you all the unboxing photos of the Gionee M5 Plus. Enjoy. The package is firmly sealed, as a proof of quality. 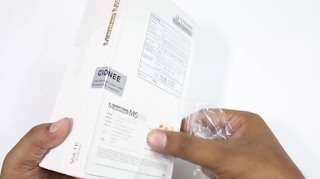 And here comes the box housing the Gionee M5 Plus and its accessories. On opening the box, we can see the prestigious smartphone safely nestled in its container. Finally, we have the plus-sized device in all its glory. 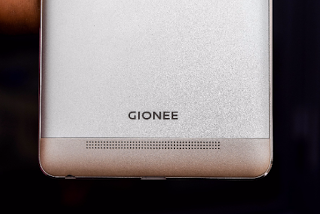 At the back of the device, the Gionee logo can be seen. Can you guess what this looks like? To the other contents of the box. 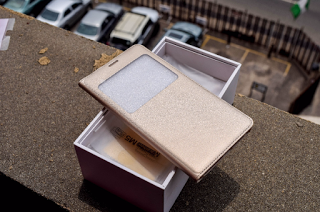 Included in the package is a beautiful-looking pouch that would do well in protecting the device. Also in the box are the normal accessories found in a smartphone pack: User Manual, Screen Guard, Warranty Card, Back Casing, Wall Charger, a USB Type-C connector, an ear piece and an ejector pin. The Gionee M5 Plus has a sleek design with thickness of 8.4mm and it weighs in at just 208 grams. 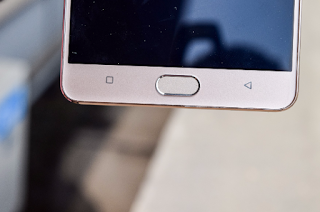 The above picture shows the capacitive navigation buttons, with the 0.1second-fast fingerprint sensor in the middle. 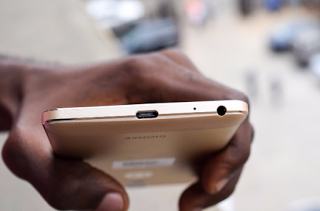 At the top is located the 3.5mm audio jack and a Type-C USB Port which gives it USB OTG support. 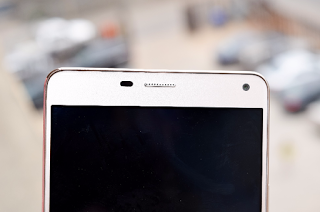 At the back of the device, the 13MP main camera resides, with a LED flash beneath it. Selfie lovers are well taken care of with the 5MP camera at the front of the device. A single speaker is located at the bottom of the device, and sound gets out through this speaker vent. 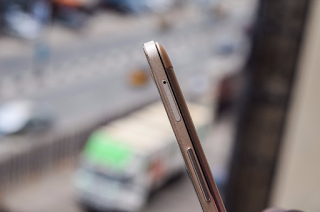 Ejector pinholes for the SIM card and external SD Card are located at the left and right of the device respectively. 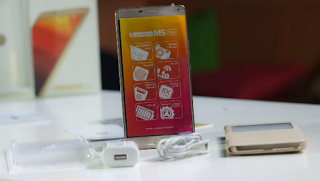 More photos of the Gionee M5 Plus with 6.0 inches AMOLED display. 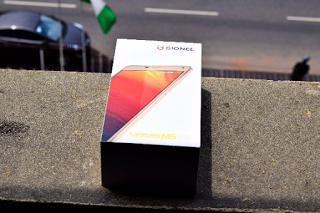 Those are the photos from the unboxing of the Gionee M5 Plus by Jide Ogunsanya of Ogbongeblog.com. Now to the specifications in details. The display on the M5 Plus is 6 inches wide with resolution of 1920 x 1080 pixels and Corning Gorilla Glass 3 Protection. The display is manufactured using AMOLED panels, which is the trending display technology for smartphones. 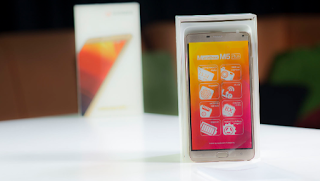 It is powered by an Octa-core Mediatek MT6753 Processor assisted by 3GB of RAM. 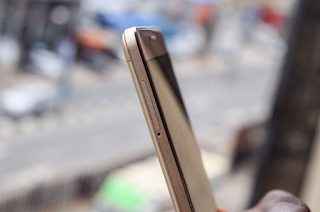 There is enough space to store all the files and apps you want, with the 64GB of internal storage included, which is further expandable up to 128GB via microSD. 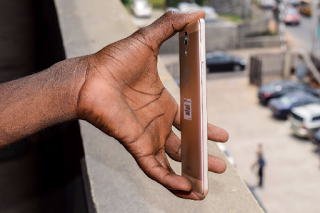 The device sports a 13MP AF camera at the rear with LED flash as seen above, while at the front of the device exists a 5MP selfie shooter. 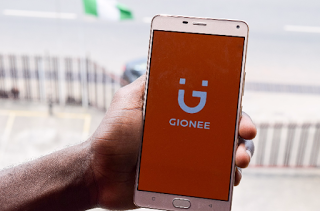 The Gionee M5 Plus fully supports 4G LTE network connectivity, amidst other advanced connectivity options like Wi-Fi 802.11 b/g/n, Bluetooth 4.0 A2DP and GPS. To ensure that all these features are enjoyed for longer, the Gionee M5 Plus packs a whopping 5,020mAh Lithium-Polymer Battery which is capable of lasting up to 72 hours on a full charge. It runs Amigo UI 3.1 based on Android 5.1 Lollipop out of the box. 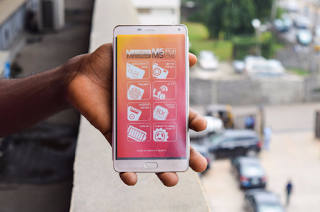 The Gionee M5 Plus is available on online smartphone stores in Nigeria at a price of approximately N85,000 (price may vary around this depending on which store you buy from). The smartphone is also available in offline stores around the country, which shouldn't be a surprise since it's a delight to many. 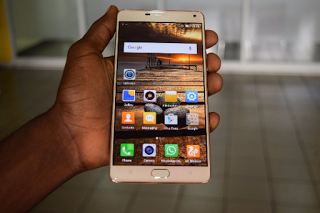 Looking for Where to buy the Gionee M5 Plus?